Accommodations at the Christmas Mountain Village include townhomes, cottages and log cabins. Guests will enjoy fully equipped kitchens, as well as washers and tumble dryers in every accommodation. Christmas Mountain Village features a variety of recreational activities. Guests can go for a swim in the indoor or outdoor pools, then play a game of tennis. 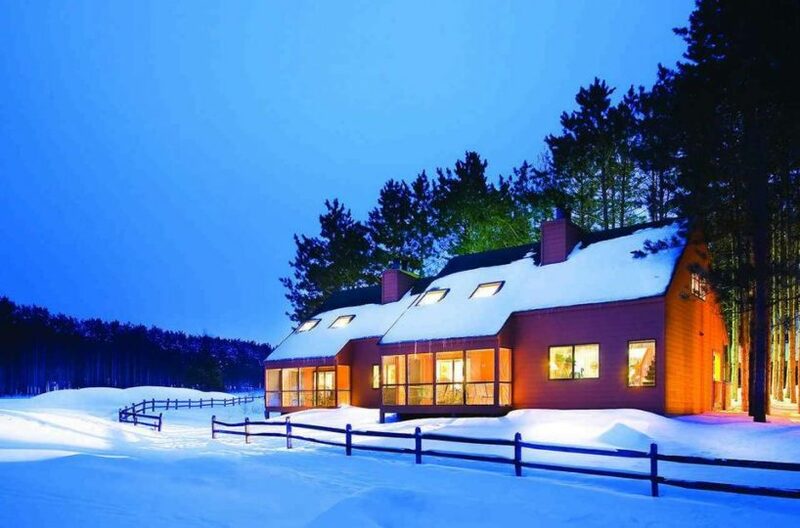 In the winter, guests can take a ski lesson, do some snowboarding or enjoy snow tubing. Mulligan’s Sports Bar at the Christmas Mountain Village offers 8 big-screen plasma TVs and regional favourites. Guests can also visit the seasonal Jolly’s Burger, Brats & Fun, which features a family-friendly, smoke-free atmosphere.